This summer, after our annual two-day drive from Ontario to Nova Scotia, I climbed out of our mini-van and into a flu. In the roof-top carrier of the mini-van was a banker’s box full of books I’d brought on holiday (because it’s just not a vacation unless you bring along enough reading material to last until the apocalypse), but on our first night at the cottage, we did not unpack that box, and I was left without bedtime reading material. I went, instead, to the cottage’s shelves and found an old Dell paperback copy of The Little House on the Prairie. Perfect. In spite of my exhaustion, I read late into the night, and when I woke up feeling less than well the next morning, I put it down to the long drive and the short sleep. As I read, I was paying as much attention to the books as I was to my response to them: attraction and repulsion. Ma’s racism was something I had not remembered at all, and it disgusted me. It’s always an odd sensation to revisit a book from childhood, but this was particularly jarring. I found the narrator a tad cold, too. But then there was the wonderful catalogue of things and deeds, of blessings and curses, of a world contained and enumerable. How delightful, then, to read Wendy McClure’s book and find my ambivalence so precisely and humourously mirrored. I am nowhere near the Little House fan McClure is, but her book is so well written, so amusing and richly textured, that she takes us along on her own (re)discovery of the world of the books without our having to match her level of devotion to them. Since I edit children’s books for a living, I get asked a lot about my favorite books as a kid. When I tell people I loved the Little House books, I know it’s a perfectly respectable answer, the sort of thing folks expect me to say. Then sometimes they go on and ask me whether I also loved various other Important Children’s Books, like Where the Wild Things Are and The Little Prince and The House at Pooh Corner, and I’ll do my best for a while, trying to play along, and then at some point I have to hem and haw and shrug because, well, you know what I really liked? I liked books that had pictures of toast in them. I do know! Things in all their thinginess is my thing too! She re-reads the whole set of Little House books, researches the biography of Laura Ingalls Wilder, and begins to plan trips to the creeks, sod houses and towns in which her fictionalized biographies are set. She buys calico sun bonnets. She buys a butter churn. And makes butter with it. Her boyfriend, bless him, puts horehound candy in her stocking. What happens when she lets her freak flag fly is a wonderful book, full of humour. Equal parts memoir, biography, picaresque and cultural studies, McClure’s book attempts to reconcile her childhood love of the books with some of their darker undercurrents. As part of her attempt to live “La Vida Laura,” McClure and her boyfriend go on a homesteading weekend, encouraged by the host’s mention of the Little House books on her website. She is encouraged to bring her butter churn so that she can show the other participants how to churn butter. The other participants turn out to be Christians preparing for the apocalypse. I had been searching for Laura Ingalls Wilder and I’d gotten Hippie Half-Pint instead, half full of her crazy, crazy Kool-Aid made from foraged berries. It is this layered approach that I most liked about McClure’s book. Memoir and biography, nostalgia and honest examinations of the racism in the book, humour and skepticism about the commercialization of Laura world. I love this passage. The visceral layering of here and there, now and then, experience lived and experience read; the sudden awareness of truth. Isn’t that what the complexity and clarity of re-reading old loves is all about? This book was a joy to read, and I recommend it highly, not just for fans of Laura Ingalls Wilder, but for any book lover who loves a good read. Read from a review copy. This book is deceptively simple. Organized in 12 chapters named for each of the twelve months that the book covers, Wakan’s book strolls through a year of reading, but also of gardening, hosting, teaching, running errands, and minding the world. Her narrative pace is slow and her essays meander, but they belie a breakneck reading pace. I don’t know how the library on Gabriola Island keeps her stocked because she and her husband go through 20 books a week. The island, its library and her book box, the old milk crate in which she keeps her books to be read, become characters in their own right, and the books she reads are always firmly tethered to the context in which she reads them. These are familiar essays, and while the pace of the individual chapters may be easy, Wakan, in her late seventies, has more than 30 books of poetry and non-fiction to her credit. She reads and writes at a fantastic pace, but none of that urgency appears here. On the pages of this book, she is relaxed company. What I like best about Wakan’s book is that she knows that there are more prolific writers, more voracious and up-to-date readers out there, and, after acknowledging that there are other ways of being, she is unapologetic about the kind of writer and reader that she is. I have been reading a book entitled 1001 Books You Must Read Before You Die (general editor–Peter Boxall) and, of course, it filled me with guilt and remorse. What have I been doing with my life that I have probably not read more than one third of the books included? … Reading [it] left me with the feeling that I would like to have written a novel. … But that is not to be, for here I am, yet once more, turning out yet one more little essay about books and writers and, do you know, having recovered from reading the summaries of one thousand and one books by triumphant (and often alcoholic and suicidal) authors, I am quite content to have my life running this way. I was pleasantly surprised by how many books about books she discusses. My beloved Ex Libris and 84 Charing Cross Road are among more than 30 books about books and author biographies and autobiographies. It’s a veritable goldmine of bibliophilic reading. I had seen the title of Pierre Bayard’s book, How to Talk About Books You Haven’t Read, and dismissed it as flippant, but she calls it the best book of her reading year. I’m sold. I am doing a reading challenge based on 1001 Books to Read Before You Die, the 1% well-read challenge, so Wakan’s book also had the added bonus of being a book about my reading challenges. Wakan gently points me to the truth that not all the books we bring home have to be fiction or bibliophilic. She reads books about math and makes them sound compelling. This is not an easy thing to do. Lots of books about gardening, too, as she and her husband attempt a zero-mile diet by growing almost all of their own food. Also not an easy thing to do. As you will have noticed from my April entries, I often prefer reading about gardening to actually doing it, so while making my garden to-do list, I began to once more think about garden writing and folks who do it. Michael Pollan points out so nicely that writing and gardening are both ways of rendering the world in rows. I’ve just wandered home from the bookstore with Merilyn Simond’s A New Leaf: Growing with My Garden tucked under my arm and am looking forward to its rows on rows. where you think the truth is. Oh, dear. I am not at all the right reader for this book. No, not at all. This is a particular blow because I agree in principle with much of what Blakemore says, but I am so disappointed that this passionate book lover is not speaking to me. We are not a good match, this book and I. The tone is all wrong, though I might agree with the substance of what she says. Frances Hodgson Burnett and Mary Lennox. 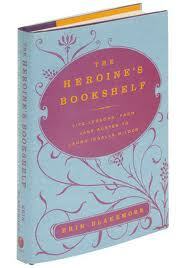 Each chapter also ends with a list of three of the protagonists’ “literary sisters,” for further reading. Since I have read and re-read all twelve books, it was for the literary sisters that I took up the Heroine’s Bookshelf Challenge. The book gets off to the most awkward start, though, with an introduction that seems to be addressed to people who don’t read, which is odd, because, well, this is a book. Not only people who don’t read, but who actively argue that there are better things to do and it’s a waste of time to read. Well, yes, but choosing to read in spite of life’s other pressures is precisely what makes us book lovers, isn’t it? Blakemore makes exactly that point, but I do wish she had taken a different tone. Why be pre-emptively defensive? Again, I scratch my head in wonder. If those who hold this opinion aren’t reading other books, they likely aren’t reading this one, so why address them and their arguments? Here is a book about the timelessness of books, and it is mired in its own time: mid-recession, belt-tightening, grouchy-about-frills-like-reading time. I wish she had dispensed with all of the pre-emptive defense about why books matter and just gotten on with the job of extolling the heroines. 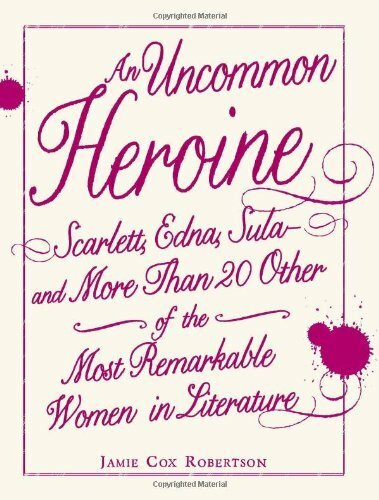 With her choice of twelve heroines I have no quibbles at all. These books have given me many hours of comfort and joy, and I was pleased to have been reminded of old friends. Immediately after putting this book down, I picked up one of the literary sisters. I’ve had Dodie Smith’s I Capture the Castle on my TBR pile for ages, and Cassandra Mortmain is named as one of Jane Eyre’s literary sisters in steadfastness. 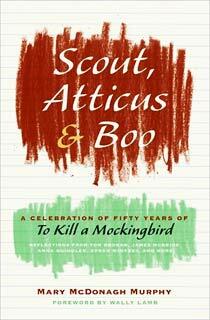 I devoured the book, gorging on its delightful wit and whimsy. For giving me the nudge to read I Capture the Castle I am profoundly grateful. Dodie Smith and I, we are a good fit. Before I began my mystery reading challenge, I decided to knock this book about mystery books off of my TBR pile. I’m glad I did, because in addition to offering a useful overview of the genre, James has strengthened my resolve to catch up with some mystery writers from the Golden Age that I’ve not read yet. (Nicholas Blake and E.C. Bentley. And because of the TBR Dare I won’t be able to read them until April 1! No matter. Plenty to keep me busy until then.) If you are looking for a quick read, a well-informed historical overview of the genre of detective fiction, and an impassioned discussion of the value of great writing, this book will do it. Talking About Detective Fiction was first published by the Bodleian Library; in 2006, the Library approached James to write it as a fundraising venture. Not only, then, is there a wonderfully apt conjunction of author and subject, but also of patron. Oxford is up to its eyeballs in fictional detectives, including, of course, my favourite curmudgeon, Inspector Morse. I thoroughly enjoyed James’s “talk,” but it is in a bit of an odd spot, rhetorically speaking. There are several notable tensions. Here is an expert on the topic—as researcher, consumer and practitioner—but her objective is to offer an overview. Given that she is writing an overview, it is odd that she also assumes that her readers are already familiar with the sub-genres of detective fiction. She refers offhandedly to the “dons’ delight” and the “cozy.” It is a pinning down of these sub-genres that I’d been hoping to find when I read the book, so I was disappointed with her ready assumption that I already knew their names and definitions. The reader, then, is supposed to be a novice in need of an overview, but already in on the secret of whodunit in more than one case. Marvellous! Just look at how she paces that last sentence! “A style of sober magnificence”: a perfect description of the escape offered by expertly written detective fiction. I let James’s book be my first book about books for the year and be my guide to my first novel, Wilkie Collins’s The Moonstone. Technically, it is a re-read, but my frail memory was happily dependable in this case, and I not only forgot the all-important solution to the mystery, I forgot how deliciously bookish it is. Gabriel Betteredge, the butler, reads his Robinson Crusoe like a bible. He treats the novel as a kind of oracle, and Collins plays with his readers’ probable compulsive reading and attempts to divine the future of his own text. It was a delightful read, cunning in its humour and plot. The Moonstone ticks boxes in about six of my reading challenges, too, so I’m off to a great start.